If you’re reading this, odds are good you’ve registered for (or are thinking about) your first 5K. Maybe you’d like to kick-start a New Year’s Resolution, want to lose a few post-holiday pounds, or are looking for a new challenge. Whatever the reason, there’s a lot to know and love about running your first 5K. The run itself will likely include festive pageantry, supportive friends and family, and (in most cases) a cool T-shirt or finisher’s medal at the finish line. But there’s a lot to know before race day, including dietary tips, training methods, and basic runner’s etiquette—and, of course, how to calm those inevitable nerves. Here, insider tips for running your first 5K. 1. Pick your race wisely. Unless you’re a regular runner, be sure to allow enough training time beforehand (more on that below). In other words, if you’ve never run more than a mile, don’t choose a 5K for the following weekend thinking you can power through it. You’re likely to end up frustrated and possibly injured—not a recommended way to experience your first race. Popular races usually sell out in advance, so if you have your eye on one, it’s better to sign up as early as possible. You’ll likely save money on early registration, too. Costumed runs are a lot of fun, but costumes can also add a logistical challenge. Make sure whatever you’re wearing isn’t a tripping hazard and doesn’t cause blisters or other irritations that can sabotage your good time. 2. Find a Running Group. Group runs: Most running groups hold regular group runs of varying distances and paces. Odds are good you’ll find a few running buddies to keep you motivated. Education: Experienced runners are happy to share tips, tricks, and wisdom they’ve picked up along the way. They may help you develop a comfortable pace, find the right pair of running shoes, and offer basic training tips. Discounts: Running groups are often sponsored by, started by, or otherwise affiliated with local athletic retailers. Membership might include discounts on shoes, clothes, accessories, and race fees around town. 3. Figure Out a Workable Training Regimen. Everyone builds up stamina at a different pace. Don’t force yourself into running longer or more often than feels comfortable; doing so only increases the risk of burnout and injury. The Couch to 5K Running Plan is a popular program for total newbies. Couch to 5K eases runners into their first race with a slow, but steady, increase in running times over nine weeks. RunKeeper tracks workouts, offers personalized training programs, and more. The app, which boasts a userbase of more than 50 million, offers a social function that connects you with friends and allows you to compare progress. The Zombies, Run! app makes training fun by dropping runners into a post-apocalyptic zombie epidemic. The app delivers missions through headphones and makes a game of it with rewards for successfully staying alive. 4. Keep an Eye on Your Diet. Don’t carb up: A 5K covers 3.1 miles and is an incredible accomplishment for runners of all fitness levels. That said, it’s not long or strenuous enough for your body to demand a surplus of carbs. Rather than weighing yourself down with a huge plate of spaghetti carbonara the night before, aim for a light, healthy meal full of lean proteins, veggies, and rice. Don’t gorge afterward: It might be tempting to reward yourself with an extravagant feast afterward, but try not to overdo it. Don’t use your race as an excuse to go all out; you’ll feel weighed down and uncomfortable if you dive right into celebratory burgers and beers. Drink plenty of water: It might seem obvious, but that doesn’t make it any less important. Drink plenty of water before (and during the race, if you need to; most 5Ks have at least one water station). Dehydration can sap your energy and lead to cramps, both of which can cut your first 5K short. Don’t try anything new on race morning (or the night before). The 24 hours leading up to your race are not the time to test out that new Thai recipe—or any new-to-you foods. Stick with what you know to avoid any gastrointestinal disasters while on the course. 5. Find a Comfortable Pace. 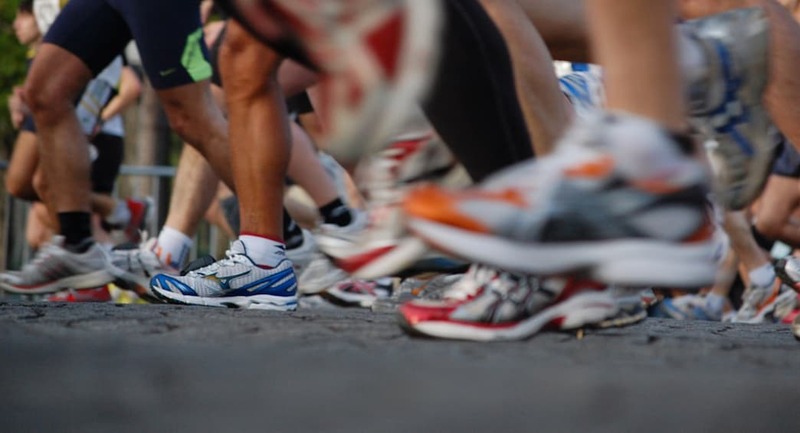 Imagine the moment when you step to the starting line for your first 5K. Maybe a few friends are cheering you on from the sidelines. Perhaps the speaker system pumps you up with "Eye of the Tiger." Maybe you’re simply blown away by the outlandish costumes some runners choose to wear. In any event, odds are good you’ll feel a wide range of emotions at that point. But even with all that adrenaline and excitement coursing through your body, try to be mindful of your pace and find a comfortable clip. If possible, find the sweet spot where you’re getting a good workout but not wearing yourself out with every step. A good rule of thumb is if you can carry on a conversation with someone. You might be tempted to sprint off the start line (or even do it instinctively), but be sure to save some energy for near the finish line, once the adrenaline has faded. You’re more likely to finish strong—and feeling great about your effort. 6. Observe Race (and Course) Etiquette. 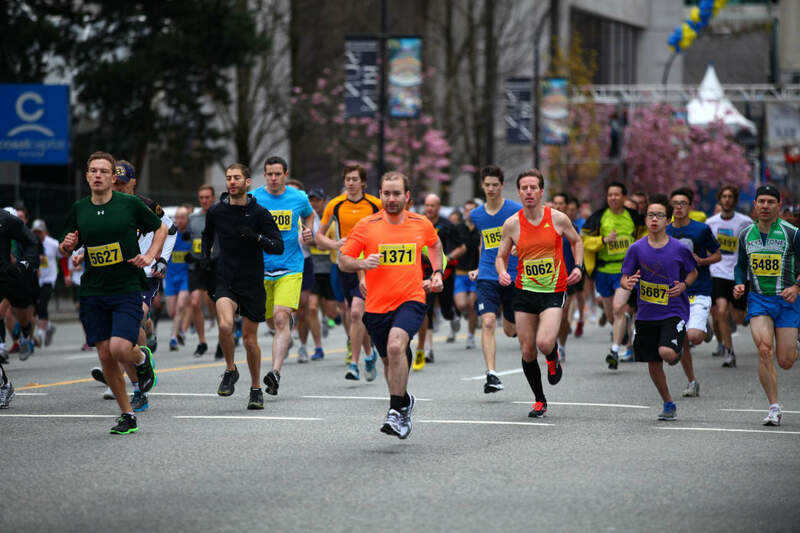 Find your place in the pack: Be mindful of where you wind up; faster runners congregate in the front of the pack, while slower runners (naturally) lag behind. And be sure to stay right when walking or running at a much slower pace, and don’t try to pass in packed groups. Ditch the headphones: We get it: There’s no better way to get the blood pumping than with a kicky song blaring into your eardrums. That said, headphones take you out of the moment and make it impossible for other racers to communicate while trying to pass (or alert you to hazards). They also make it tough to hear cars, trains, and bicycles. And the supporters cheering you on at the finish line—you want to hear them, right? If you must listen to music, keep it at a low volume, and only wear one earbud. Jam the finish line: Yes, you’re trying to finish your first 5K, but don’t stop running until you are well through the finish line. This area is one of the most congested in the race, and it’s always made worse from unknowing (or inconsiderate) runners crowding things up further by stopping to walk or pose for post-race photos. (The one exception is if you need immediate assistance from the medical team; if that’s the case, try to step to the side until you can flag down a volunteer.) Instead, jog your way through the finish area to the good stuff: post-race snacks, freebies, and the area for the race results. And no matter what your time is, take heart in the fact that you crossed the finish line.